11/9/18 LICKING COUNTY, OHIO – Seth Dobbelaer and Ron Thompson have both been elected to a three year term on the Board of Supervisors of Licking Soil & Water Conservation District. The public election was held Wednesday, November 7, 2018 at Licking Soil & Water’s Annual Banquet at The Grove by the River, Newark. Three highly qualified candidates ran for the two open seats: Seth Dobbelaer, Dee Hammel and Ron Thompson. Seth Dobbelaer farms in McKean Township. He has been a participant in the Licking County River Round Up and is passionate about organic farming. 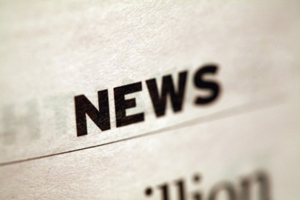 Mr. Dobbelaer has been on the Board of Directors of the United Church of Granville and the Weathervane Playhouse. He has participated as a volunteer for many community efforts. Seth would like to address storm water drainage, fertilizer and pest control runoff, and unchecked mono cropping. Ron Thompson farms in Washington Township. Mr. Thompson is a retired agricultural education teacher. He has been affiliated with many local community projects including as a 44-year member of the Hartford Fair Board. Ron would strive to upgrade educational programs for Licking County residents on the work of the Soil Conservation Service. Enabled under Ohio Revised Code 940, soil and water conservation districts are subdivisions of the State of Ohio organized along county boundaries. The five-member Board of Supervisors is the governing body of Licking Soil & Water. Supervisors must own land or reside in Licking County. They serve, unpaid, for three-year terms as elected public officials. 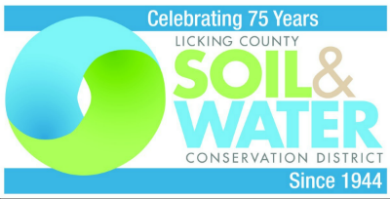 Licking Soil & Water receives non-mandated funding from the Licking County Board of Commissioners, local municipalities and from the state as matching funding.